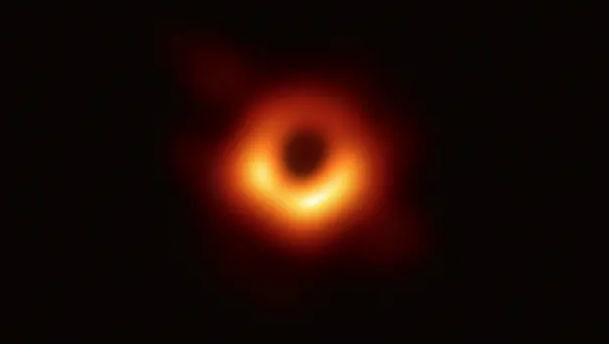 Paris, April 10: Astronomers on Wednesday unveiled the first photo of a black hole, one of the star-devouring monsters scattered across the Universe and obscured by impenetrable shields of gravity. The image of a dark core with a flame-orange halo of gas and plasma shows a supermassive black hole 50 million lightyears away in a galaxy known as M87, they announced during simultaneous press conferences in Brussels, Shanghai, Tokyo, Washington, Santiago and Taipei. Black Hole Live Streaming: When and Where to Watch The First Picture of Sagittarius A, The Center of Our Galaxy Revealed by Event Horizon Telescope. Data needed to construct the picture was gathered in April 2017 by the Event Horizon Telescope, a joined-up network of eight radio telescopes spread across the globe.